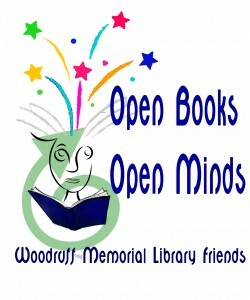 To support the Woodruff Memorial Library through monetary donations, volunteering and advocacy. Woodruff Memorial Library Friends, has federal 501(c) (3) status, making it a non-profit organization. The Friends’ main source of income is membership fees, donations, and the annual booksale. A seven-member Board of Directors governs the Friends. Meetings are held monthly on the third Thursday of the month. Meetings start 5:30 p.m. in the Library’s Meeting Room and are open to the public. Minutes from previous meetings. Each spring the Friends hold the annual booksale, which is a major fundraiser. Members are admitted to a special pre-sale prior to the opening of the sale to the general public. Contact the library to join!